1 Wondering what’s the best way to watch Kodi? 3 What is an Android TV Box? 4 What should you look for in an Android TV box? Wondering what’s the best way to watch Kodi? An Android TV box is a small set-top box, roughly the size of Apple TV, running either Google’s Android TV software or – more frequently – a re-skinned version of standard Android. 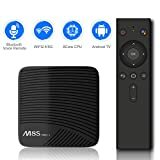 In theory, this makes an Android TV box an incredibly flexible device for streaming content to your TV from the Internet or a NAS drive, or playing back media stored locally on the device itself. Many market themselves as Kodi devices, and in the wilder parts of eBay you’ll find devices calling themselves Android TV boxes that claim to come unlocked or preloaded with what would normally be subscription channels or free content. Don’t buy them – these may be illegal and you could be breaking the law if you use them. However, there are dozens of perfectly legal devices out there and there’s nothing illegal about the Kodi platform itself, provided you don’t use it with piracy-enabling add-ons. What should you look for in an Android TV box? The specs, features and boxes themselves change on a near-weekly basis. If you’re buying one of the myriad Chinese-made boxes, we’d advise looking for a quad-core or eight-core processor, at least 2GB of RAM and 16GB of storage (often mis-named ROM) plus dual-band 2.4GHz/5GHz Wi-Fi and 4K support for future-proofing. The other thing to watch out for is software. Only a handful of Android TV boxes actually run what Google calls Android TV; most simply run a version of Android with the manufacturer’s own TV-focused interface. The latter may or may not have access to the Google Play store and may run pre-installed versions of Kodi and popular video-streaming apps. Boxes running genuine Google Android TV are easier to use and more reliable, although even on these you might have problems running Netflix or Amazon Prime without employing esoteric workarounds. If you don’t like to get your hands dirty with sideloaded apps or reconfiguration, we’d suggest sticking with an Amazon Fire TV device or Nvidia Shield TV. If you’re happy to tinker, though, you’ll find some bargains – and fun – to be had. Okay, so the Fire TV Stick is a stick, not a box, and it doesn’t look like an Android device, either. Yet under Amazon’s custom interface you’ll find Google’s operating system, plus Kodi and a range of other TV-friendly apps sitting in the Amazon app store. You can easily sideload any other apps you want to install. The entry-level Fire TV Stick is slightly underpowered by Android TV box standards, with just 1GB of RAM. However, Amazon is about to launch a new 4K version with 1.5GB and support for 4K video through YouTube, Netflix and Amazon Prime. The old 4K Fire TV box is also worth getting if you spot one on eBay. This has a slightly slower processor but twice as much RAM. 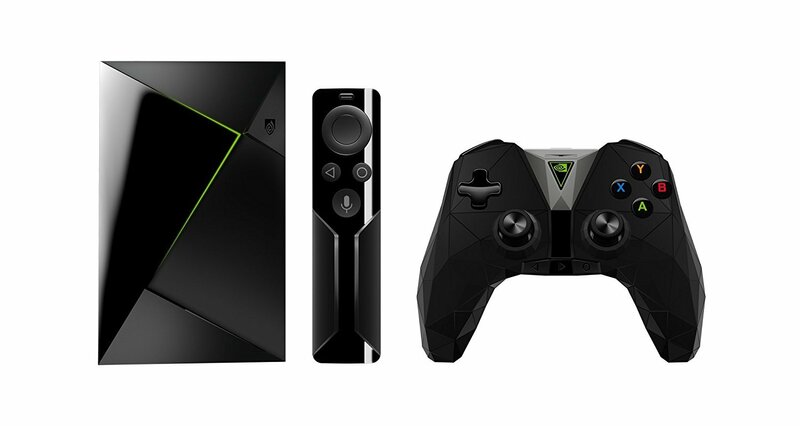 Nvidia’s 2015 Shield TV was already the best dedicated Android TV device around. This model crams in even more features while reducing its size, bundling a remote and overhauling its Bluetooth gaming controller. What was once the king of the Android TV boxes has now become the only device worth looking at if you want games, HD and 4K streaming with ultimate Android flexibility. Many of the software additions have also appeared on the original Nvidia Shield TV, so you shouldn’t need to upgrade if you already own one. It’s still powered by the Tegra X1 mobile chip – the same chip you’ll find in the Nintendo Switch – and it’s capable of outputting silky-smooth 4K video and rendering Wii and Gamecube games (provided you have an emulator). If you have a gaming PC in the house and a fast enough network, you can also stream your favourite games to this device and enjoy them console-style. The 16GB of storage space is limiting but you can easily plug in a USB 3.0 external drive and format that to work as though it was internal storage. Nvidia sells the Shield TV with remote and games controller or as a remote-only bundle, though you’ll only save £10 by ditching the excellent gamepad. Amazon and eBay are stuffed with compact Android TV boxes built around the same basic spec: an Amlogic S905W chipset, 2GB of RAM and 16GB of flash storage. Most ship with an identical remote control and run a variant of the same reskinned Android 7.1 software. Easytone’s box doesn’t do much to distinguish itself from the pack, but it’s reasonably speedy, stable, and easy-to-use with Netflix and Kodi pre-installed, as well as access to the Google Play store. The box itself is well-designed and surprisingly solid, and while the remote has cheap-feeling buttons they are laid-out more logically than they are on the remotes you get with some bargain-basement boxes. 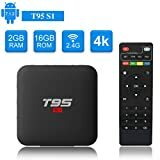 As with all these cheap Android TV products, you might have to sideload some software or tweak it to get things working, but this is an inexpensive way in to Android TV and fine for running Kodi. 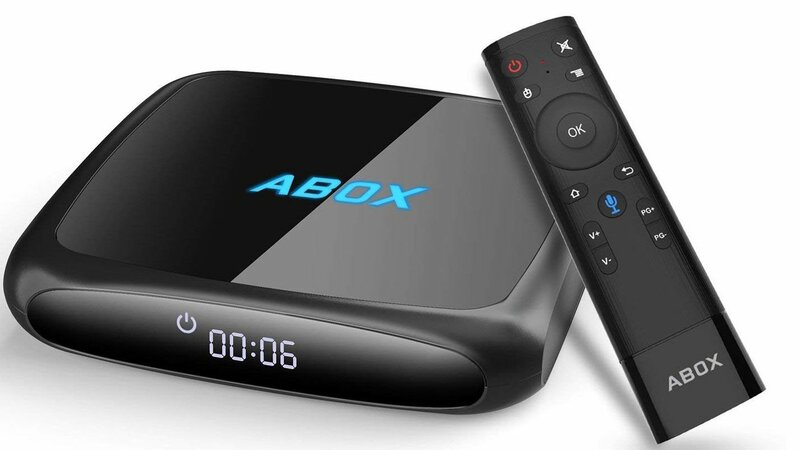 The Abox A4 is more expensive than the average Android TV box, but has the advantage of running the official Android TV platform. This gives you a much smoother out-of-box experience, and you can download TV-optimised versions of most of the apps you want from the Google Play store. BBC iPlayer, All 4 and ITV Player are missing, but with Google Play Movies, YouTube, Plex and Kodi you won’t run out of things to watch, and it’s possible to sideload additional apps from other sources. Be warned: you may have to jump through a few hoops to watch Netflix, as several Android TV boxes have struggled with changes to the app, but there are workarounds. The other bonus is a remote with a built-in microphone, allowing you to control the box and search for films and programmes using the Google Assistant. With a quad-core processor and 2GB of RAM, performance is nicely responsive, and HD and 4K video quality is generally good. Naturally you don’t get the support and service you’d expect of an Amazon or Roku device, but this is nonetheless one of the better Android TV options. 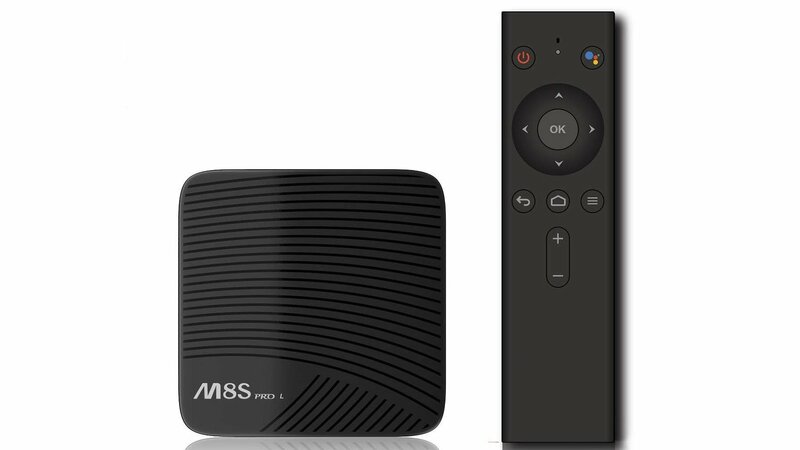 The M8S Pro L is one of the new kids on the Android TV block, running ‘proper’ Android TV 7.1.2 on an 8-core Amlogic S912 chipset with 3GB of RAM and 32GB of storage. Throw in dual-band 2.4GHz/5GHz Wi-Fi and you’re looking at a slightly higher-end Android TV box, capable of streaming 4K video with HDR10. It’s certainly smoother and more stable than the competition, and the familiar Google interface, simplified settings and solid app support make it an attractive option, even if the normal UK catch-up TV apps are still missing from the Google Play store. You’ll also need a workaround to get Netflix working. As with the Abox, the other big selling point is the ability to use Google Assistant to find info, films and programmes via the Fire TV style remote with built-in mic. Video quality is excellent, and Kodi is very easy to setup and install. 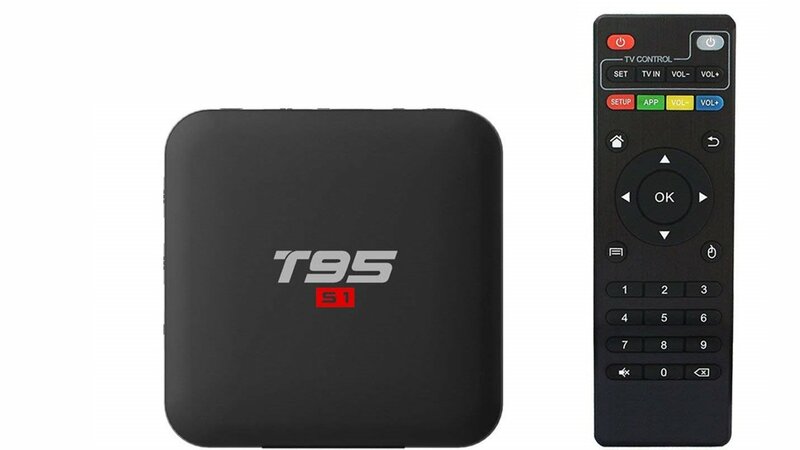 With good hardware and solid software, this is a better sort of Android TV box. Powered by a 2GHz quad-core processor, the WeTek Core streaming box is pretty powerful, especially for the price (just £96). Then again it needs to be,with it supporting 4K playback an all. While it lacks a Live TV tuner, the good news is that it hasKodi pre-installed, so you shouldn’t have any trouble if you just want to plug it in and get watching straight away. Also keep an eye out for the WeTek Core 2. Please note that many add-ons contain content that isn’t officially licensed and accessing such content could be illegal. It is the user’s responsibility to comply with all applicable laws in their country in regard to use. AKTechBlog excludes all liability for such content. We do not condone and are not responsible for the infringement of any intellectual property or other third party rights and shall not be liable to any party as a result of any such content made available. In short, if the content is free, but looks too good to be true, then it probably is.